Generally speaking, being locked in a tiny room with five other people for an hour is not what I would consider fun. 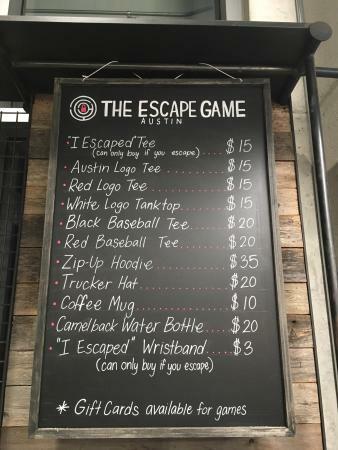 But that is exactly what happened at The Escape Game Austin and it was amazing. 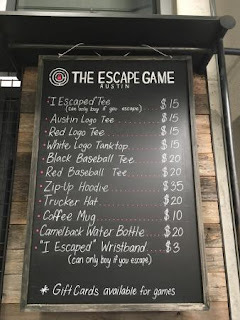 The Escape Game is one of many different room escape games in the area and they currently have four different scenarios you can try to escape from. We chose Classified, in which an attack is coming and you have to figure out the date, time, and location of the attack in less than one hour in order to escape from the room and win the game. Now, there are a lot of things about this game I can't tell you, mainly because they swore us to secrecy, but here are a few things I can. Everyone signing their consent forms. Now we have to keep a secret! First off, I'll admit to being a skeptic. I thought the game would be corny and laughably easy but I still wanted to try it. And I'm glad I did because I couldn't have been more wrong. 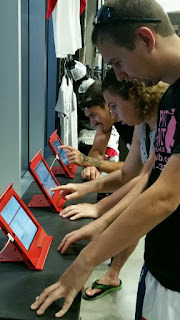 We were told to arrive 20 minutes before our game was scheduled to start and when we did, we were signed in and directed to a row of tablets to digitally sign a release form. This document mentioned things like injury, dismemberment, and severe psychological strain. I started to think maybe this game would be more exciting than I had anticipated. 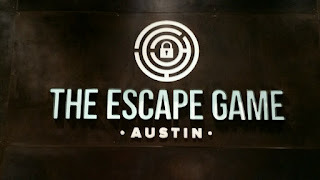 We were finally led back to our room, given a rundown of basic rules and the situation and requirements for our escape and then the guide left and our 60 minutes began. 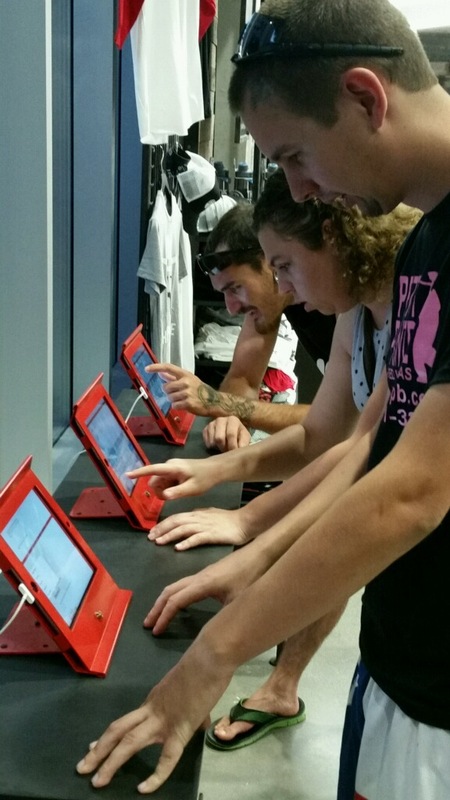 We were also given three free clues to request whenever we thought we needed them. The game started off deceptively easy and I was afraid we would solve it too quickly to really enjoy it. At this point, six people seemed like way too many. We were bumping into each other, fighting for clues, and getting in each others' way. Until suddenly we weren't. Suddenly the game got a lot harder and we had so much to do and so little time. Then we needed everyone in there to follow trails, crack codes, solve puzzles, investigate objects, and tie everything together. The game was incredibly well put together and included just the right mix of simple and complex problems. They also did an excellent job of including all the participants and requiring a variety of skills and strengths in order to win the game. It required more than just solving puzzles since you needed people to observe, explore, and make connections in order to figure out what to do next. Our team did great and we were able to figure it out, but not quite in time. Another ten seconds and we would have escaped. I hate losing, especially coming so close and still losing, but even so it was completely worth it. This is probably the most fun I've ever had in an hour and I will definitely be going back to try one of their other missions. Maybe we can actually escape the next one. Maybe. 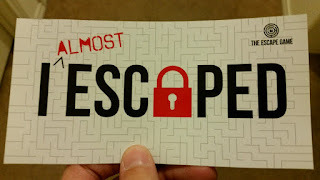 Have you ever tried out an escape game before, let us know all about it? Also, if you like the blog, please follow us on Facebook. You are right, It is tough time to lock 60 minutes in a room and being always alert. I have played once and feel great and again want to use my mind. 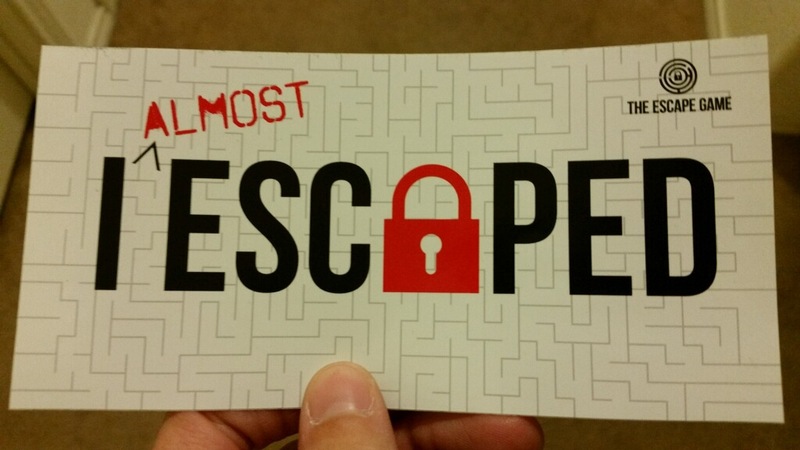 Enjoy a great day of fun team building activities with Escape Room Raleigh. Thanks for the comment. 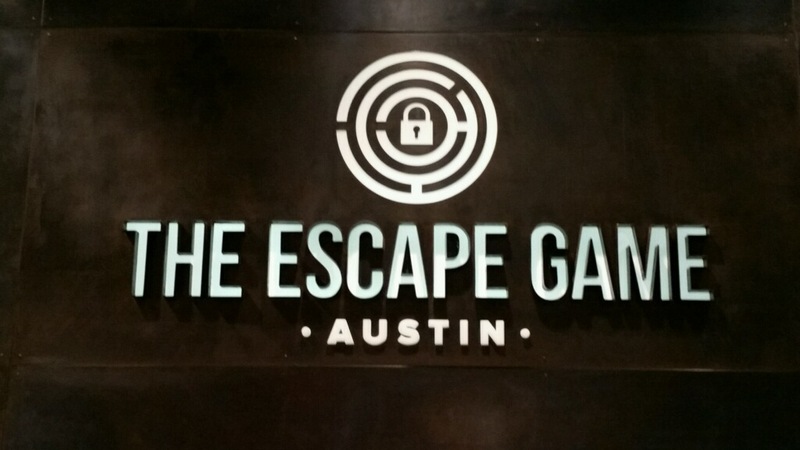 Escape rooms are a lot of fun. It is definitely one of the things I want to do with my team at work!